When it comes to vacationing, I have been to several beautiful locations. From tropical havens in Florida and the Bahamas, to European adventures in Portugal and Tenerife, to breath taking locations such as Greece, and the Amalfi Coast … but now it’s official. I have definitely found the greatest place to go on a vacation. Put it simply, Aruba has it ALL. Year-round, perfect weather conditions with bright sun, consistently cooling breeze, and a gorgeous average temperature of 82 degrees. 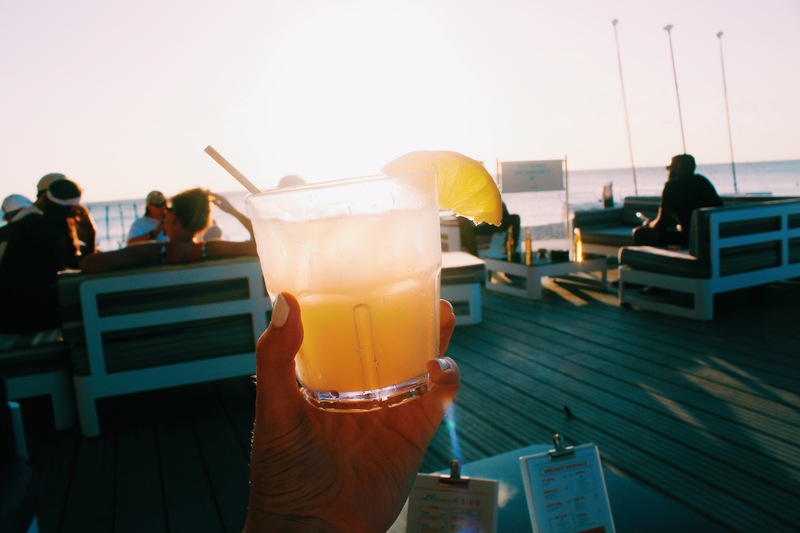 The mile-long beaches provide variety in your relaxation, while the nightlife does not cease to compare in extravagance by keeping the party going all night long with casinos, delicious restaurants and endless shopping opportunities. 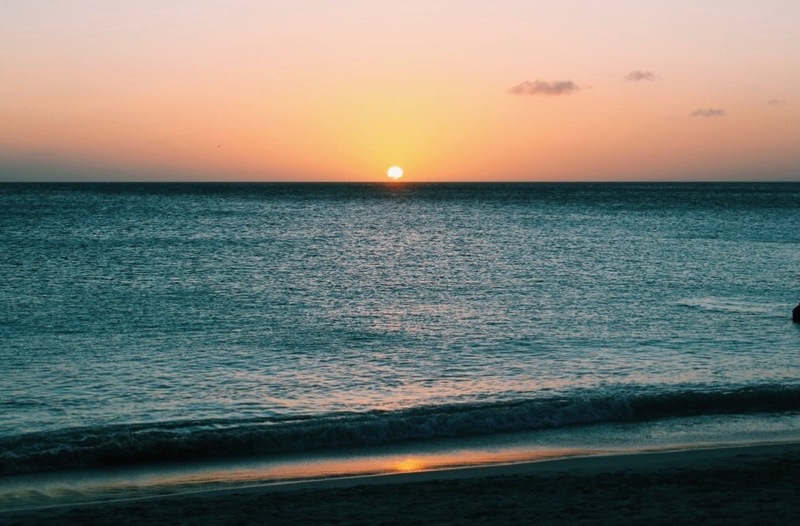 Aruba is the perfect place for everyone – families, couples, and friends – to relax and have fun. So, you are welcome. Now you have YOUR spot. THE spot to vacation. For Spring Break, summer fun, or just a quick winter getaway from your home. So now that you know where to go, where do you stay? There are plenty of hotels on the island and they all seem pretty similar. But all hotels aren’t created equal. You could do one of two things. You could stay at a generic hotel and have a pretty good time. 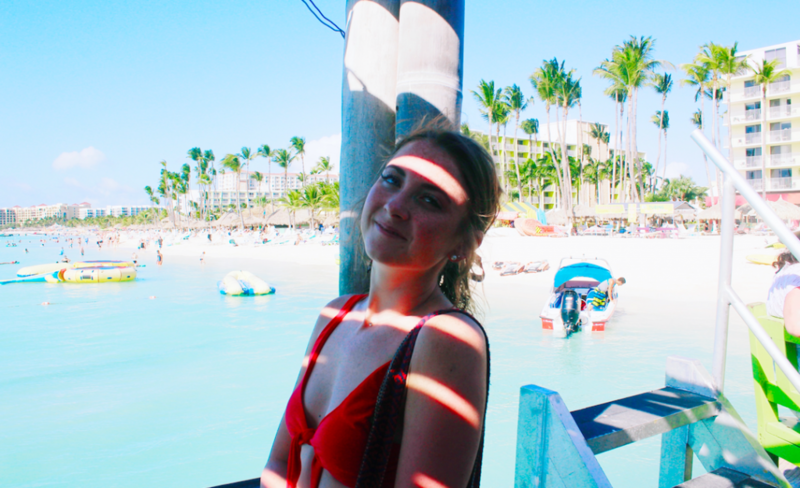 After all, it’s pretty easy to have fun in Aruba when it’s sunny and 82 degrees every day. OR, you could live it up in one of the fastest growing, all-inclusive resorts in Aruba – the Divi Resort. Named after the beautiful Divi-Divi tree, the resort boasts more space, rooms, and amenities than any other hotel on the island. In my opinion, this is totally the play because it’s a similar price point to the more generic hotels, but you get to experience so many added perks. This resort has EVERYTHING, I seriously would live there 24/7 if they allowed such a thing. 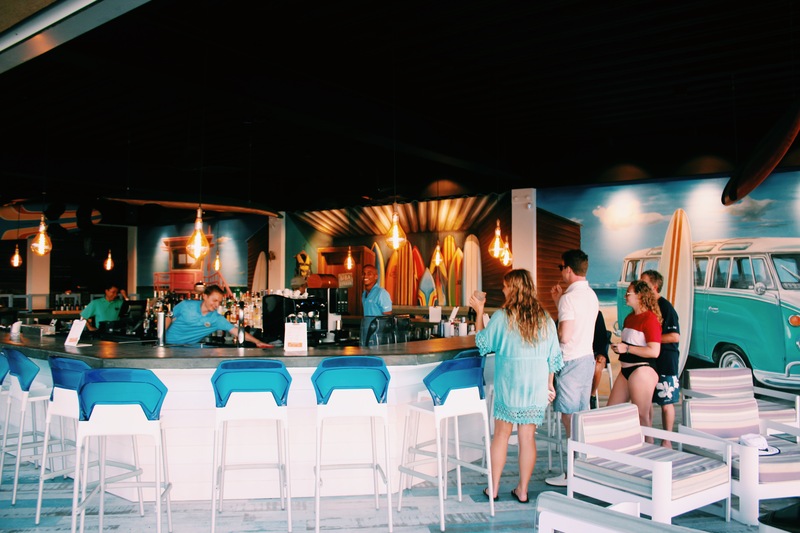 It is located right by the best attractions the island has to offer and is secluded enough to give you the private beach getaway experience you crave. The resort has something to engage you every day of your vacation, including a beautiful 9-hole golf course, four freshwater swimming pools, poolside dining, a fitness center, day spa, casino, volleyball court, a rock climbing wall ON THE BEACH, water sports, tennis courts, bike rentals, and oh so much more. From relaxation to food to fun, this place will hook you up. 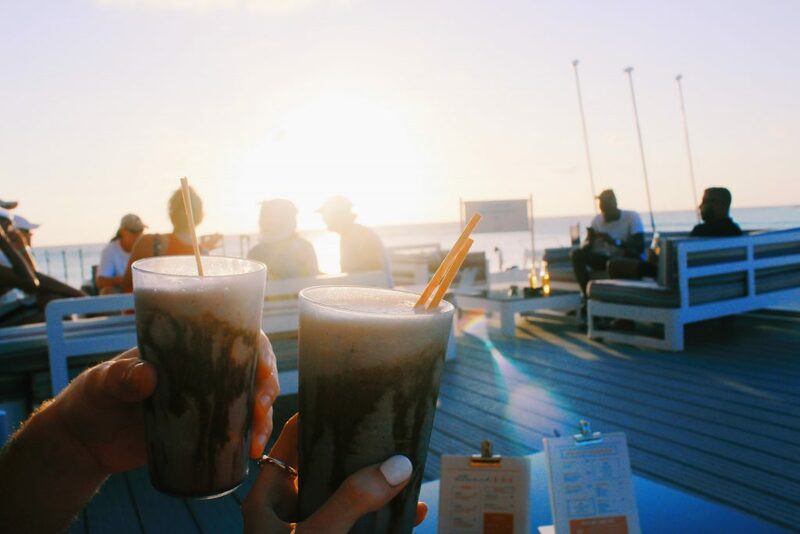 While most days in Aruba can be spent sipping mudslides by the pool, it’s important to have a balance at night. Divi has taken care of the nightlife experience for you. They take your entertainment experience to the next level with their new live show “Master of the Mind”. 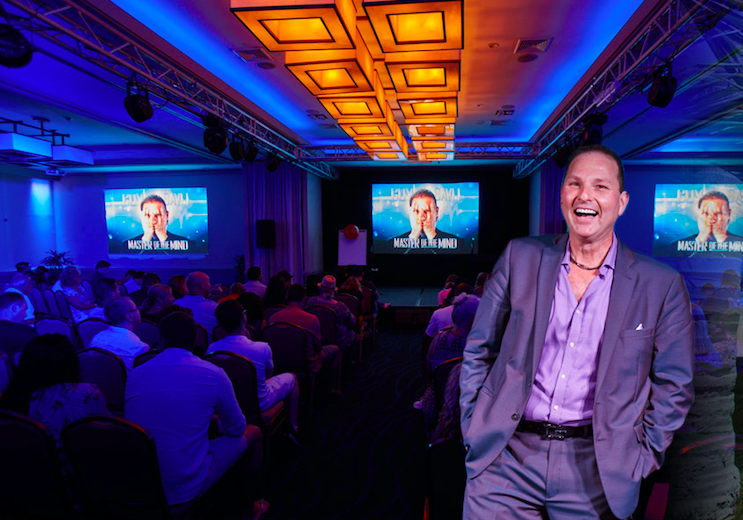 The show feature celebrity mentalist, where Guy Bavli, aka Kinetic Man from Stan Lee’s superhuman who has been in over 400 television shows, performed in 60 countries, and headlined over 1,200 shows at Caesars Palace in Las Vegas, brings his audience on a journey into the wonders of the human mind. This interactive experience of mind reading, telekinesis and superhuman behavior makes for a perfect night for the whole family. 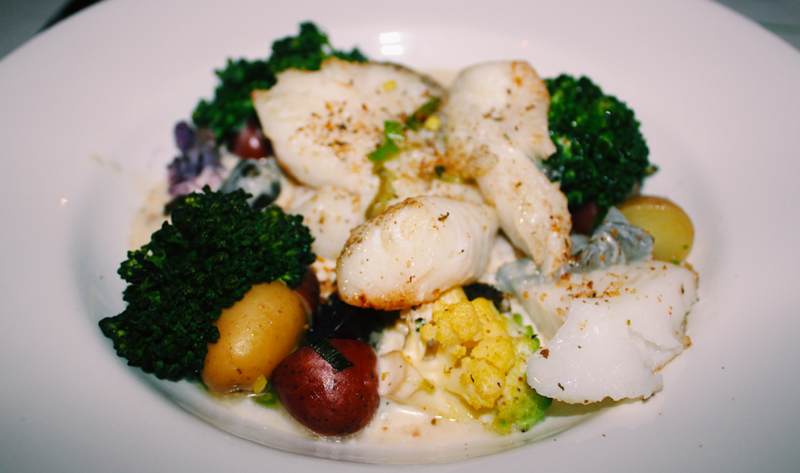 So the entertainment is great, the view is phenomenal … but what about the food? When it comes to all-inclusive, you may have thought what I did at first – the food will be subpar. But I was wrong, so very wrong. 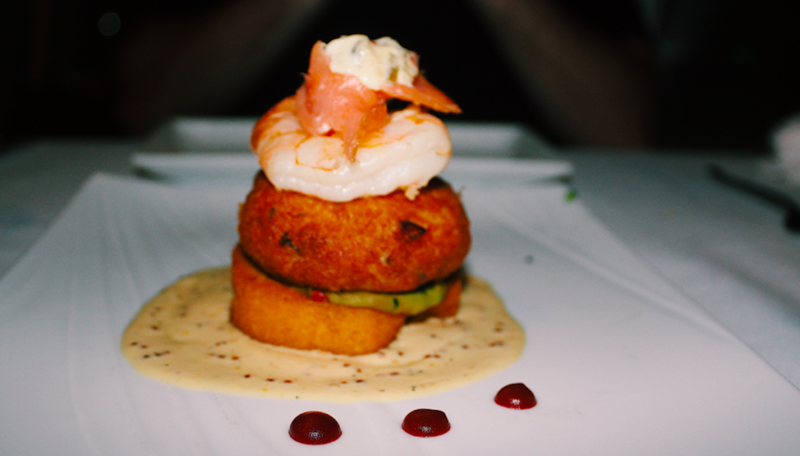 The dining experience I had at the Divi Resort was one that I will remember for a long time. The night started atop the stunning, newly renovated Beach Bar which was a gorgeous set up that mixed relaxation with class and beauty. Bartenders were friendly, happy to suggest their favorite drinks and made everybody feel at home. Casual outdoor seating consisted of couches and lounge chairs that made for perfect sunset spot. After having a few delicious cocktails while watching the sunset, it was time to eat! 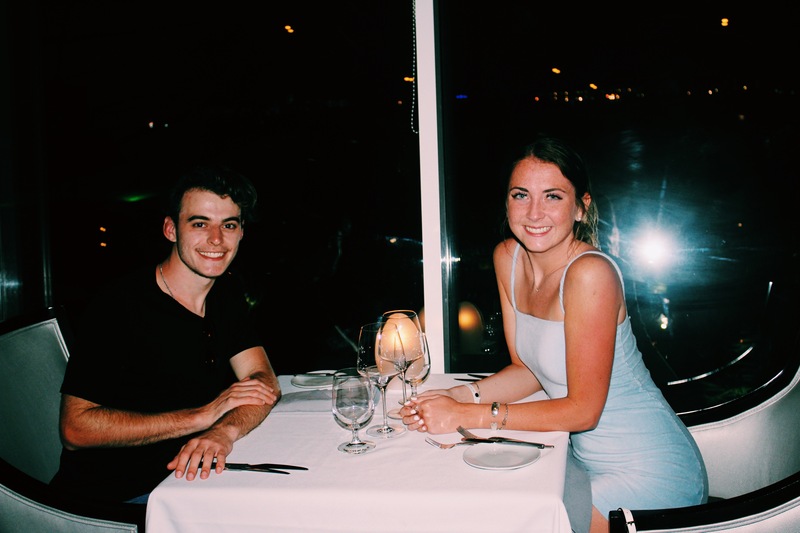 We headed over to Windows on Aruba, which is exactly what it sounds like — a gorgeous, modern restaurant featuring floor-to-ceiling windows all around the circular dining room, showcasing a stunning view of the Caribbean Ocean (also a killer spot to watch sunset). We were treated with a mouth-watering feast and service that lived up to the reputation of the Divi Resort. 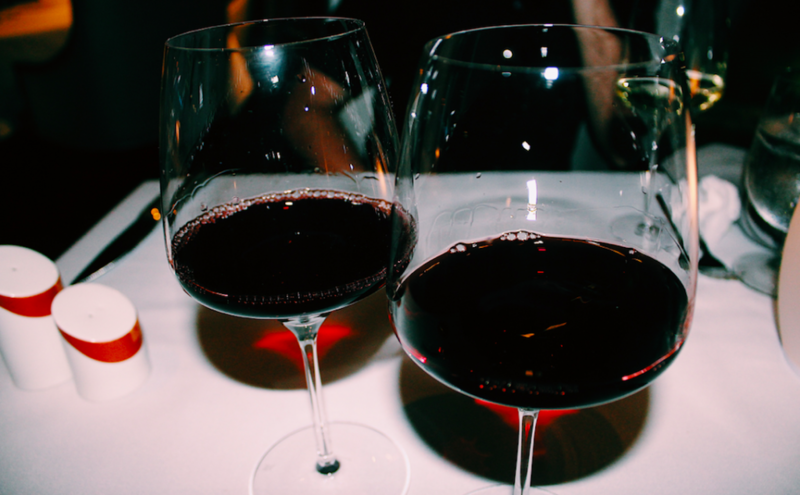 From start to finish, the dishes brought to us by the incredibly friendly, accommodating staff were incredible and perfectly paired with a glass of specifically picked wine. It is clear that Divi knows what they are doing when it comes to food, as it was truly an experience of dining expertise and incredible flavors. 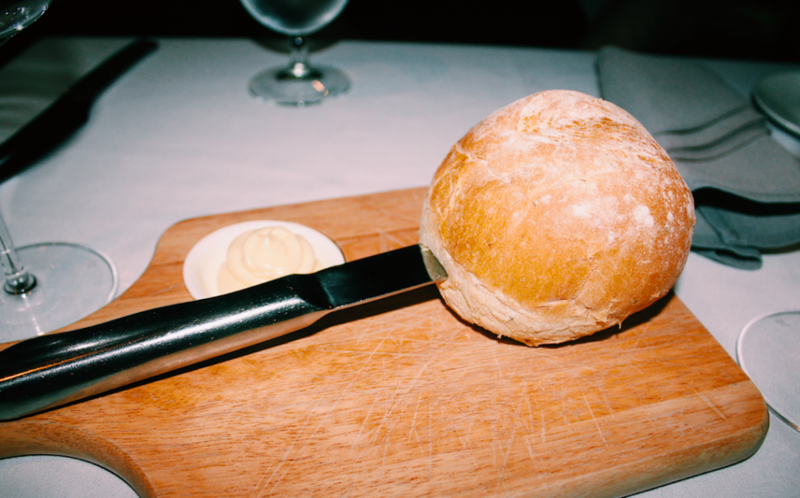 We started off with homemade bread, the most beautiful crab cake I have EVER seen (with taste to top its beauty), and fresh scallops that made our eyes roll back in foodgasm excitement (I am including all the photos as they are way too pretty to not share). We were more than pleased with our meal so far but little did we know that the best was yet to come. 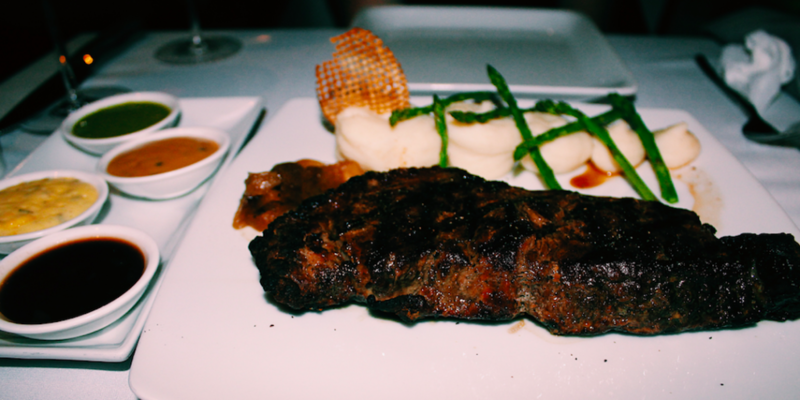 Our entree was a superbly cooked, gorgeously prepared “Tomahawk Chop Steak” served with hot mashed potatoes, asparagus, broccolini chimichurri sauce, pepper sauce, and portobello mushroom … my mouth is literally watering as I write this and remember this dish … pure perfection. After the steak we were getting full, but not too full for their famous chocolate lava cake. OH BABAY, this was the cherry on top of the Divi experience cake. 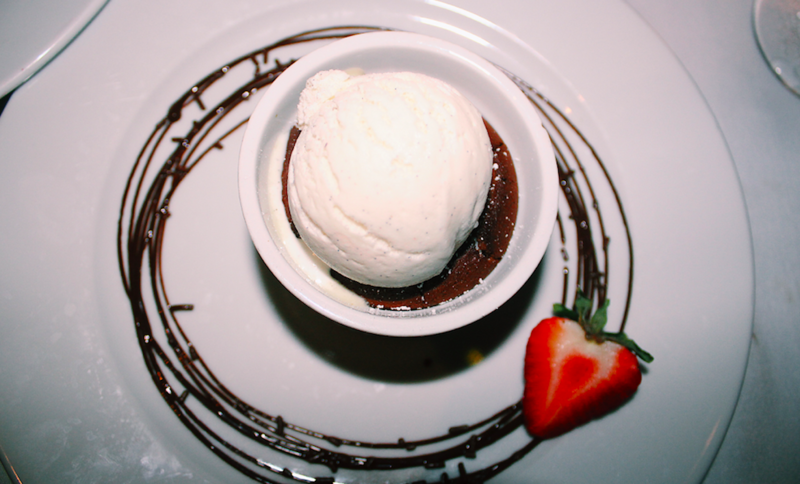 This heavenly molten chocolate ganache cake arrived to our table warm and topped with rich vanilla ice cream, and as a chocolate lava cake expert … I give it a solid 11/10. From start to finish the Divi Resort treated us like true royalty.m Their staff was more than friendly. Their food better than incredible. There are simply no words. 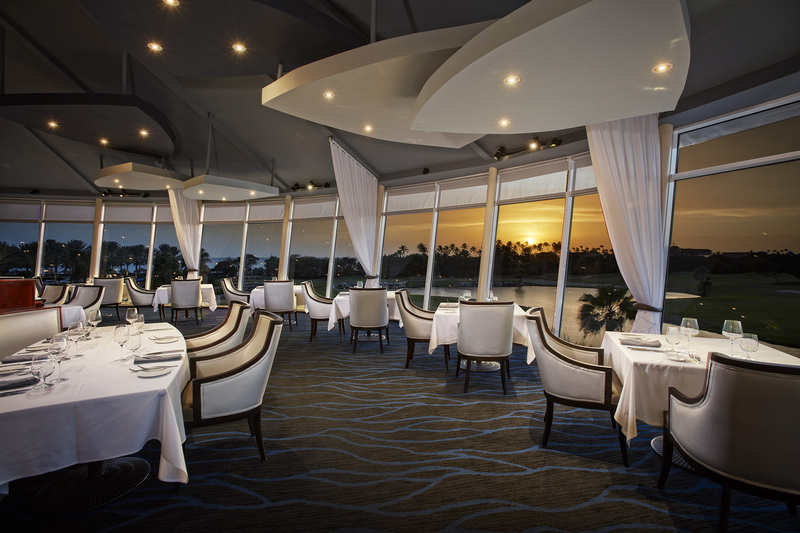 It is a hidden gem that simply needs to be unveiled to vacationers of all kinds. 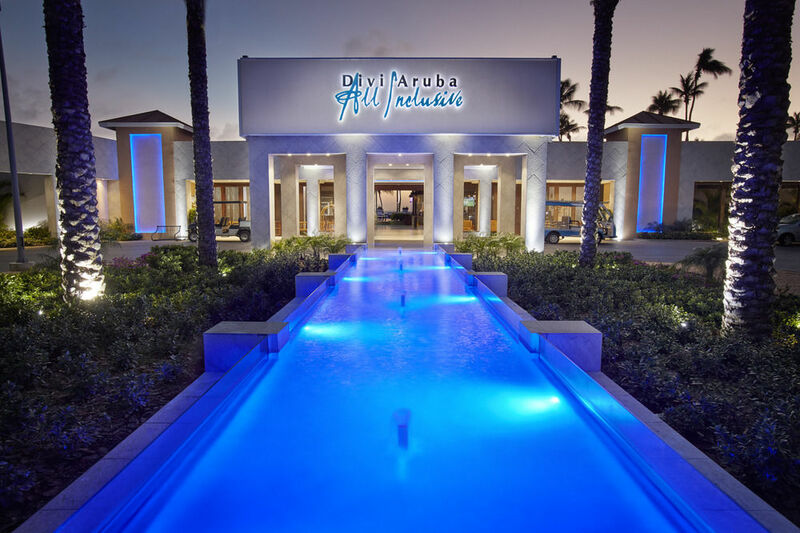 Trust me, not only is Aruba the best vacation island, but Divi Aruba All Inclusive Resort is the best place to stay, dine, and adventure on that island. Divi Resort is more than special, it is exceptional. The island of Aruba is home to several Divi Resorts, the namesake of which is the beautiful Divi-Divi tree. Our Aruba resorts have more space, more rooms, and more amenities than any other hotel. Divi Aruba Phoenix Beach Resort is located on the high-rise resort section of Palm Beach. It offers modern amenities and spacious, beachfront suites as well as a stunning beach with swaying palms and thatch cabanas. Divi Village Golf & Beach Resort is located steps from Eagle Beach and features a deluxe, nine-hole golf course — the Links at Divi Aruba. You have the choice of luxury suites and private villas at this fabulous resort. Divi Dutch Village Resort is an all-suite resort located on Eagle Beach and adjacent to Divi Village Golf & Beach Resort. It is nestled in a tropical garden setting, offering a quiet place for families and couples of all ages to relax.